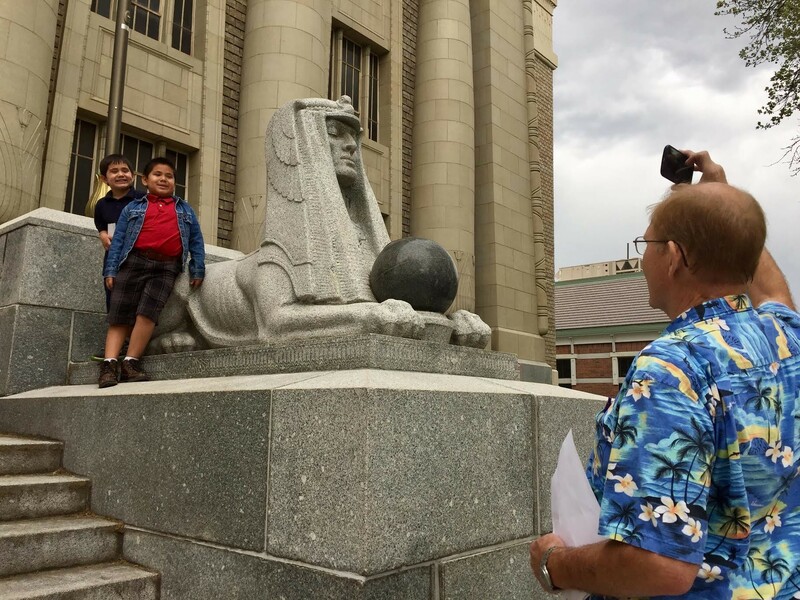 Salt Lake Masonic Temple opens its doors. 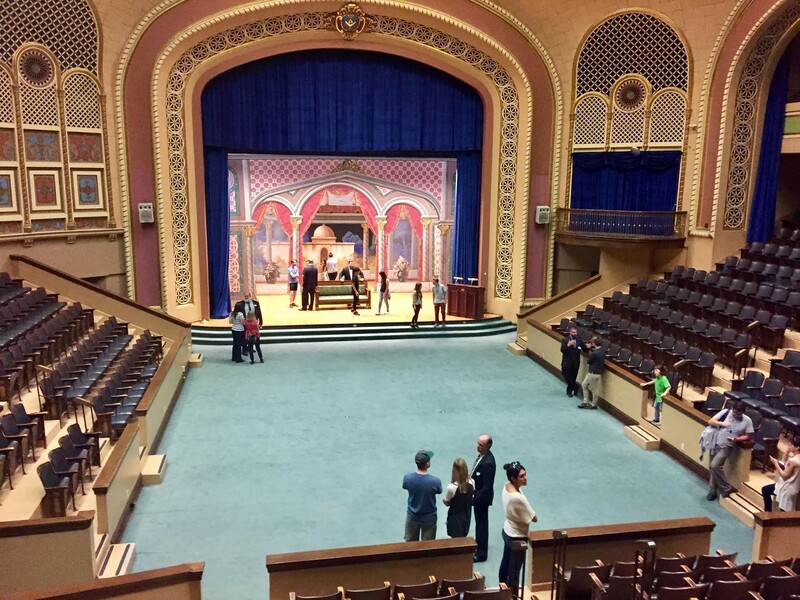 Freemasons opened the doors to their temples on Saturday, and hundreds roamed the labyrinthine halls and stairways, explored meeting rooms and auditoriums and admired the wall art and iconic symbols, like the square and compass. The public was allowed to wander through three floors of the temple at 650 E. South Temple at their own pace and in free-flowing, serendipitous routes. Casually answering questions, Freemasons wearing name tags attracted small crowds. “This is an attempt to dispel some rumors and mythology that we’re a secretive organization that operates behind closed doors,” Grand Master Robert Wolfarth told City Weekly. The group’s secretive reputation, he said, is mostly based on dramatic portrayals in books and movies. And from antiquity, the stonemason guilds protected knowledge of the trade by holding private meetings, but he says the reality today is much different. “We are not a secret organization by any stretch,” he said. Wolfarth is the state’s Freemason Grant Master, a year-long post he began around February. The Salt Lake Masonic Temple was dedicated in 1927. Five lodges meet in the building, and on any given night, one of them could be hosting an event. The Freemasons also rent out the lodge. One of the largest rooms is the auditorium and theater, with double-decker seating on three sides. A stage on the south end is decorated with cutout scenery. Wolfarth admits that one of the most common questions Freemasons encounter is why women are not allowed to join. He said while there are affiliated organizations for women, the Freemasons have remained a fraternity mainly for traditional reasons. If you missed the open house on Saturday, mark your calendars for 2018. The annual event occurs the first weekend of May.